Christmas Art Sale as a Kappa Pi fundraiser to support the awards for the Annual Student Art Exhibition in the spring at Belmont University in Nashville, Tenn. November 15, 2017. 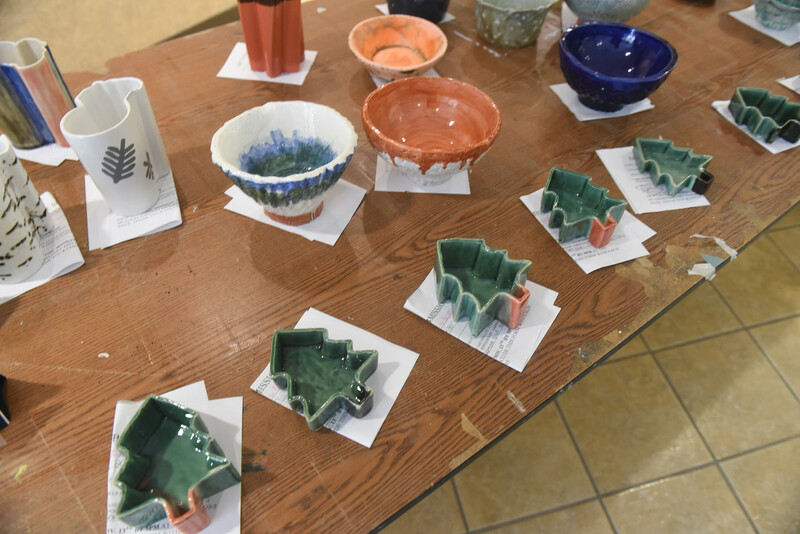 Kappa Pi, Belmont’s International Art Honor Society, in conjunction with the Art Department and Belmont’s Reformed University Fellowship, hosted their annual chili bowl sale last week. This year, the art students contributed their work to a Christmas Art Sale. The proceeds of the sale were split between the artists and Kappa Pi to support the awards for the Annual Student Art Exhibition in the spring.